To consider potential clinical needs, technical solutions and research promises of ultrahigh-field strength cardiovascular MR (CMR). 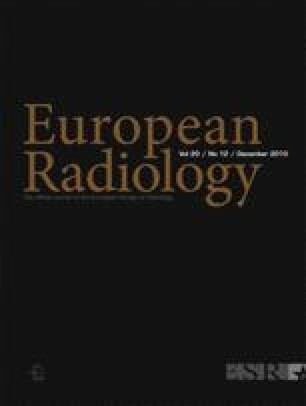 A literature review is given, surveying advantages and disadvantages of CMR at ultrahigh fields (UHF). Key concepts, emerging technologies, practical considerations and applications of UHF CMR are provided. Examples of UHF CMR imaging strategies and their added value are demonstrated, including the numerous unsolved problems. A concluding section explores future directions in UHF CMR. UHF CMR can be regarded as one of the most challenging MRI applications. Image quality achievable at UHF is not always exclusively defined by signal-to-noise considerations. Some of the inherent advantages of UHF MRI are offset by practical challenges. But UHF CMR can boast advantages over its kindred lower field counterparts by trading the traits of high magnetic fields for increased temporal and/or spatial resolution. CMR at ultrahigh-field strengths is a powerful motivator, since speed and signal may be invested to overcome the fundamental constraints that continue to hamper traditional CMR. If practical challenges can be overcome, UHF CMR will help to open the door to new approaches for basic science and clinical research. The authors gratefully acknowledge Mark E. Ladd and Stefan Maderwald (Erwin Hahn Institute, Essen, Germany), Saskia van Elderen and Andrew Webb (Leiden University Medical Center, Leiden, The Netherlands), Thibaut deGeyer d’Orth, Matthias Dieringer, Tobias Frauenrath, Bernd Ittermann, Tomasz Lindel, Fabian Hezel, Florian von Knobellsdorf, Wolfgang Renz and Frank Seiffert (Berlin Ultrahigh Field Facility, Berlin, Germany), all of whom kindly contributed examples of their pioneering work or other valuable assistance.